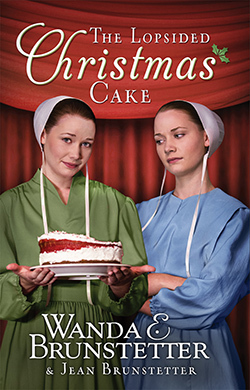 Join the Hochstetler twin sisters on stage as they bumble their way through baking a cake for a charity auction in front of a live audience. The take-charge Elma and the klutzy optimist Thelma manage to entertain their audience—and attract the admiration of two bachelors, an outspoken woodworker and a shy harness maker from a neighboring Amish community. As fall leads into the Christmas season, could romance be blossoming for one or more of the Hochstetler twins? Find out in this brand new romance from New York Times bestselling author Wanda E. Brunstetter, writing with her daughter-in-law Jean Brunstetter.